Edinburgh, Scotland,United Kingdom. 30 December, 2017. 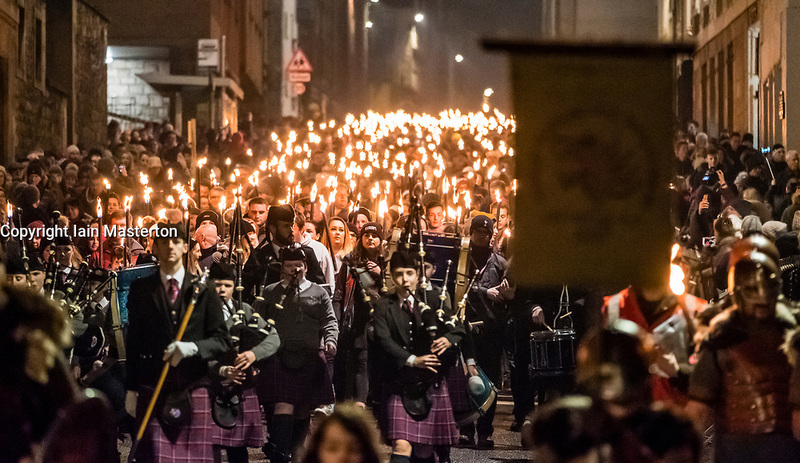 Torchlight Procession which forms one part of Edinburgh’s Hogmanay celebrations. pIctured; Procession passes down The Royal Mile towards Holyrood Palace.